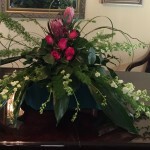 Casket Spray, Large Table Arrangement is designed to be open and free flowing. 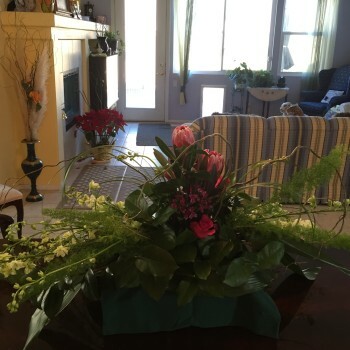 This linear arrangement is beautiful and restful arrangement that can be used for multiple purposes. It is a large piece and measures 48″ wide by 30″ deep and 18″ tall. 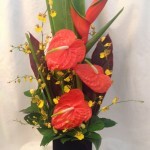 Having an event and need a dramitic piece? This design might suit your needs. 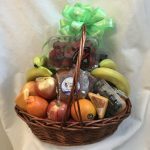 We are custom design specialists, so just let us know what style you are looking for when you place your order. 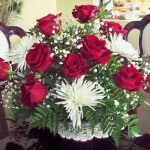 If you like this style arrangement, please give us a call to discuss and order. 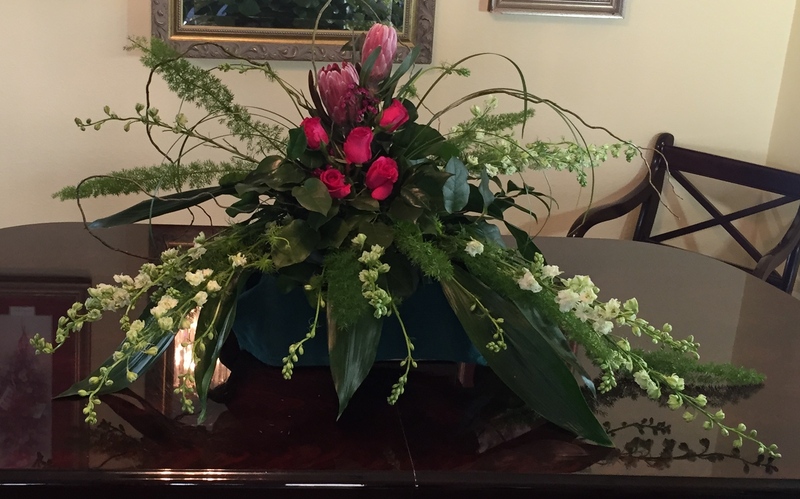 Larkspur, roses, wax flowers and protea take center stage amongst the lush magnolia and aspidistra leaves. 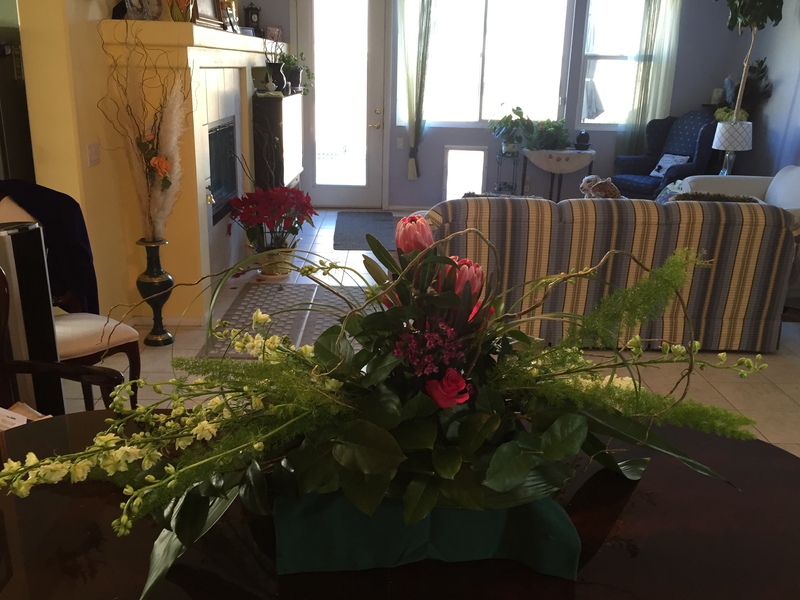 This arrangement is further enhanced with foxtail fern and curly willow.